What an incredibly capacitor-warming experience it is to see humans take time away from their jobs to volunteer at RBBB. 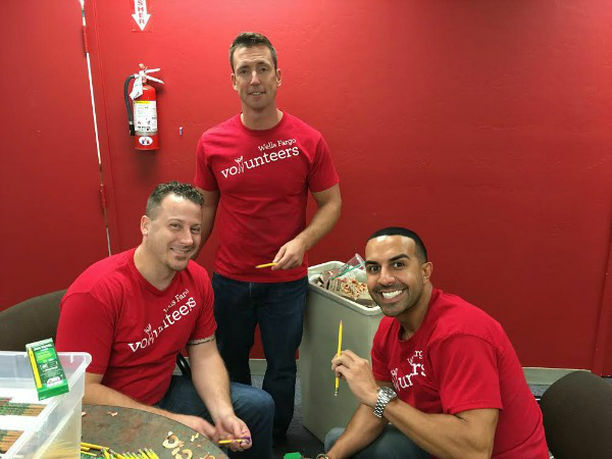 And our most recent volunteers, a group of managers from Wells Fargo, left the office for the day to learn more about the literacy crisis in Arizona, the work we do at RBBB, and to lend a helping hand. We asked the Wells Fargo volunteers to write a note of encouragement to a Big in our program and they happily immersed themselves in this task. You could hear nothing but the scratch of pencil on paper in the room (which is one of my favorite sounds) and it was clear the humans were taking this task very seriously. Receiving these inspiring notes from the volunteers will make our Bigs feel appreciated for the work they do and motivate them to always do their best. Educating our volunteers on the RBBB curriculum is important to me. I want them to understand the work we do and how we’re teaching children to become active readers. We explained how the children engage with the text and annotate their thoughts on Post-It notes as they read. And we had the volunteers do this activity with the books they brought too. They left their thoughts, questions, and connections throughout the book for the Littles to receive. 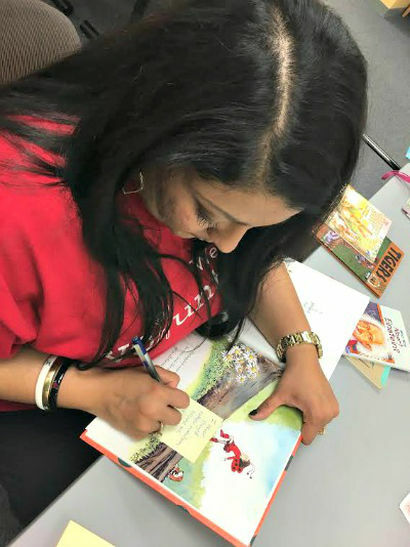 This activity will show our Littles that professionals in our community read books and think the same kind of thoughts they do, helping to build their confidence. As the Wells Fargo volunteers learned through the Post-It activity, our Littles make a lot of notes while they read. And this why they sharpened almost 400 pencils for them. 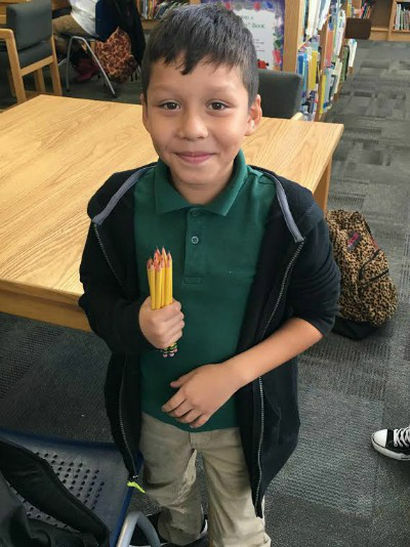 This act of kindness will make sure the students have the tools they need to succeed the moment they step into the RBBB classroom. Our education system is failing, and it’s especially failing the children in our community who most need that extra support in life. But that’s what we’re here for — and that’s why the work volunteers do for us is so important. When our Littles and Bigs walk into the RBBB classroom, we try to change the narrative for them. We hold them to high standards and show them they are valued. I can’t thank the Wells Fargo volunteers enough for taking the time to help our program. You are welcome back anytime! Oh, and my favorite book? It’s Robots, Robots Everywhere, of course!